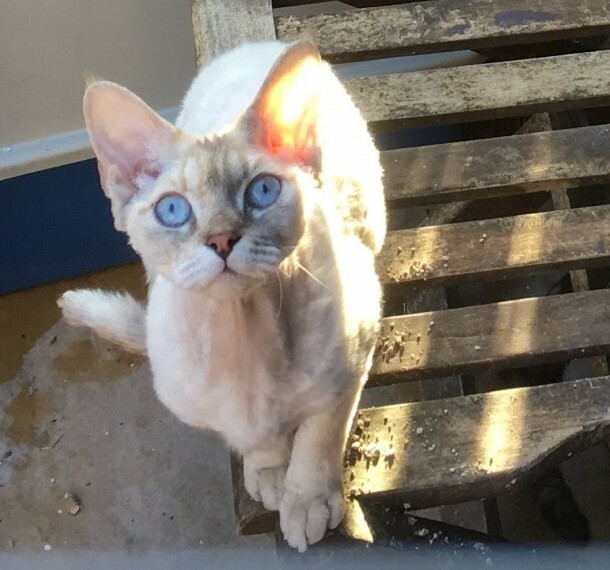 Lovely Devon Rex Queen. Blue eyed. Chocolate.Cream Tortie Tabby Colourpoint. 3 1.2 years old. I have been showing this wonderful breed of cats for many years but am now retiring so am looking for loving. forever. indoor homes for some of my gorgeous girls. She is very sociable. well behaved and loving. She is GCCF registered. has a 6 generation pedigree. and is inoculated and neutered. Please contact for more details.